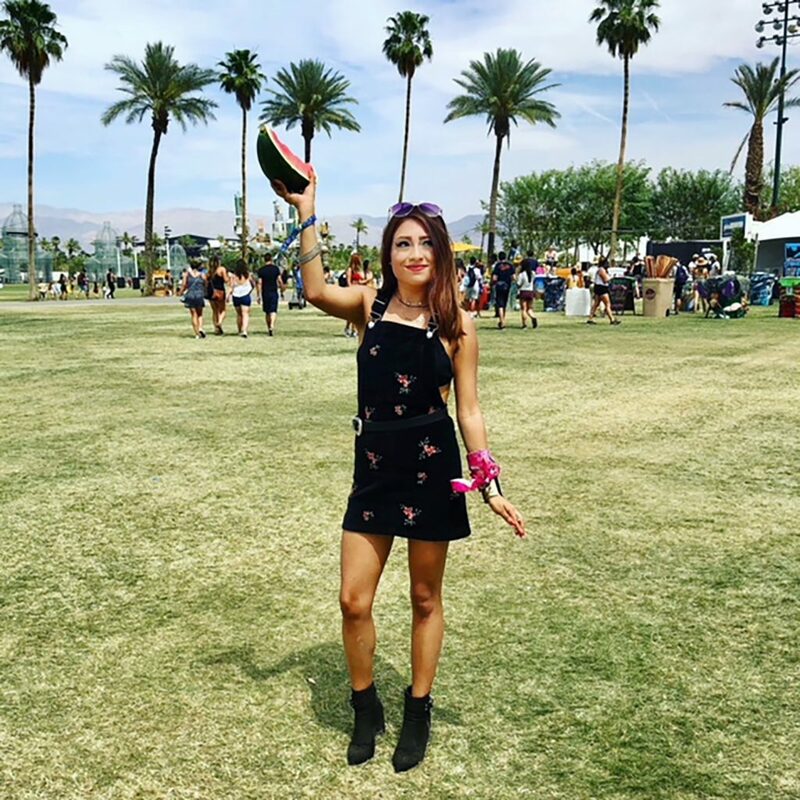 This past weekend I took a trip to the hot Indio desert for the Coachella Music and Arts Festival. I have been anticipating my visit since June of last year, so you can imagine my excitement. I had an amazing weekend and was able to catch up with a lot of friends. I did, however, get my wallet stolen, but we will get to that story later! 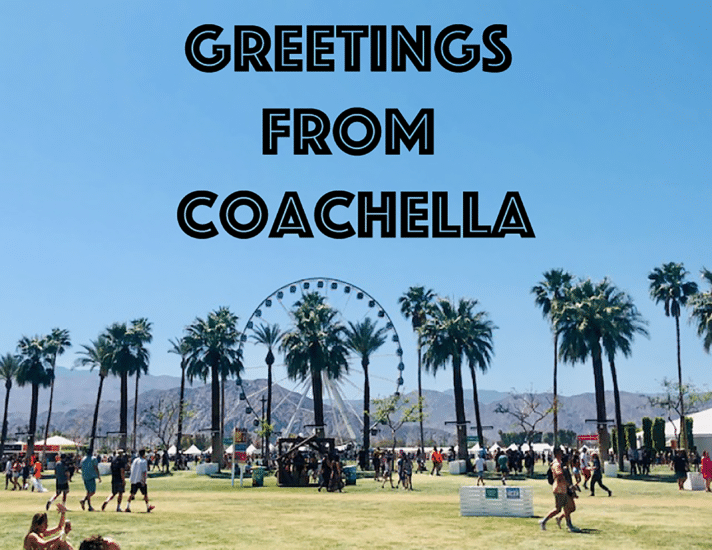 Here are my 2018 Coachella photographs! Even though the festival was only 3 days, I packed my top 10 outfits and my friend and I headed off on our mini road trip to the desert. 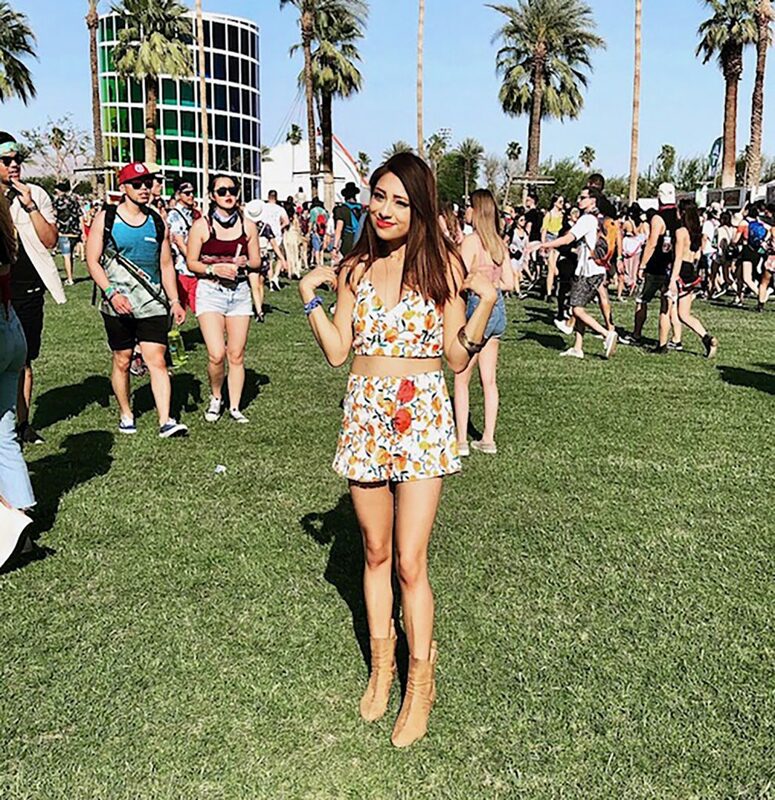 Coachella is all about originality and expressing yourself so I spent a lot of time looking for cute outfits to wear. Traffic was terrible, which was expected, since everyone was just as excited as us to get away from the city. 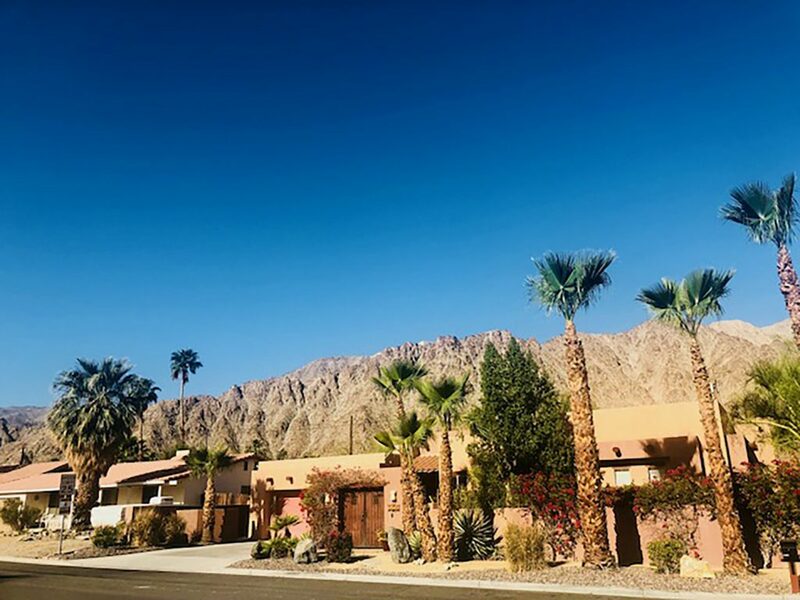 We arrived in La Quinta, where we had booked our Airbnb. The entire trip from Los Angeles to the Coachella Valley took us approximately 3 hours. 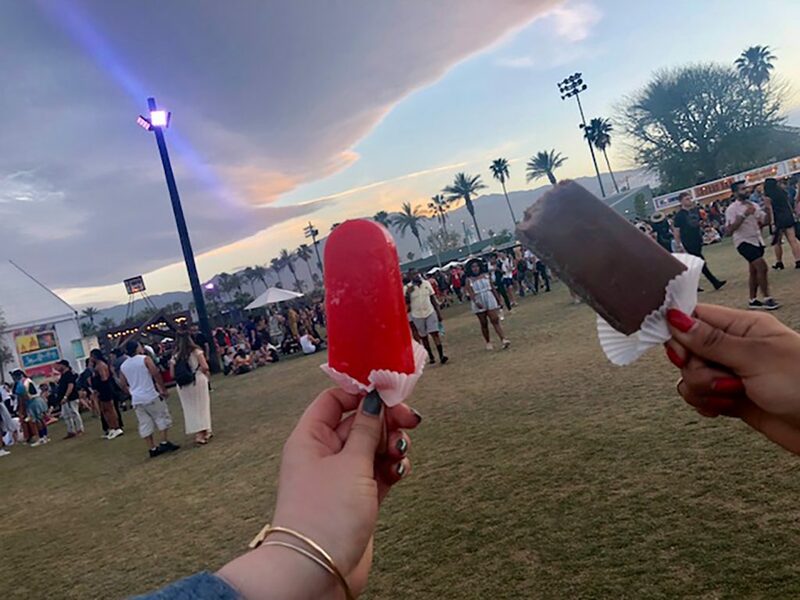 We made a pit stop in Palm Springs for an ice pop. The wind was insane and there were traffic signs with sand storm warnings. Our day started off at 7am. My wristbands were lost in the mail so I had to pick them up at will call. We got dressed, headed to get our wristbands, then went to breakfast at Wilma and Frieda's. Getting into the festival was a process. The security was amped up this year, which I appreciated. 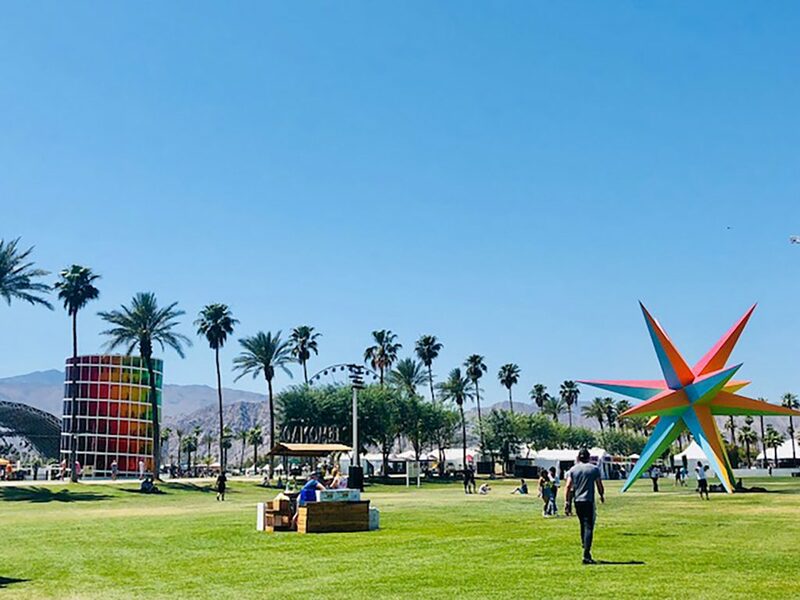 My friend had never been to Coachella before so we roamed the grounds to familiarize ourselves with the set up. That night I saw the following artists; Kali Uchis, Daniel Caesar, The Neighbourhood, Belly, and SZA. 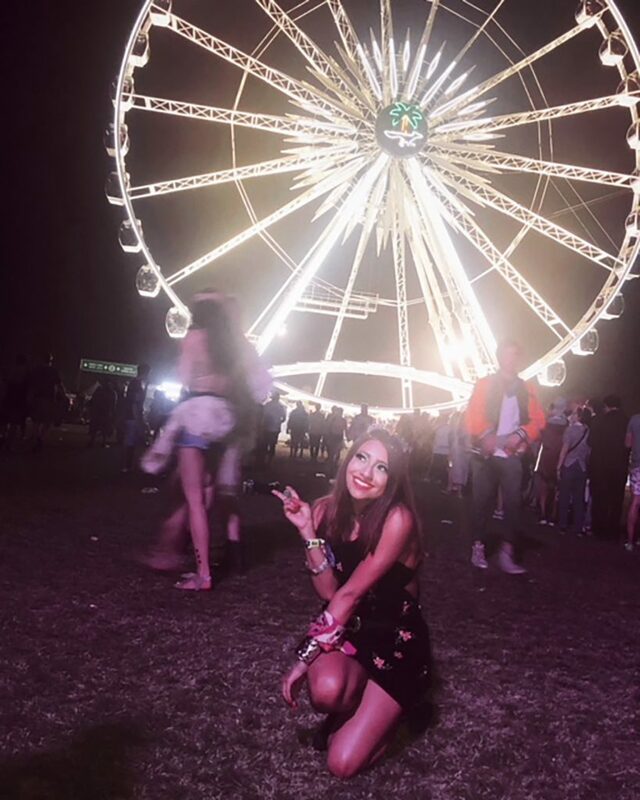 After leaving Coachella that night, I realized my wallet was missing from my backpack (Happy Friday the 13th). My friend and I rushed back to the Airbnb and I immediately cancelled my cards. We decided not let this situation ruin our weekend. I woke up to this beautiful view from my Airbnb each morning. 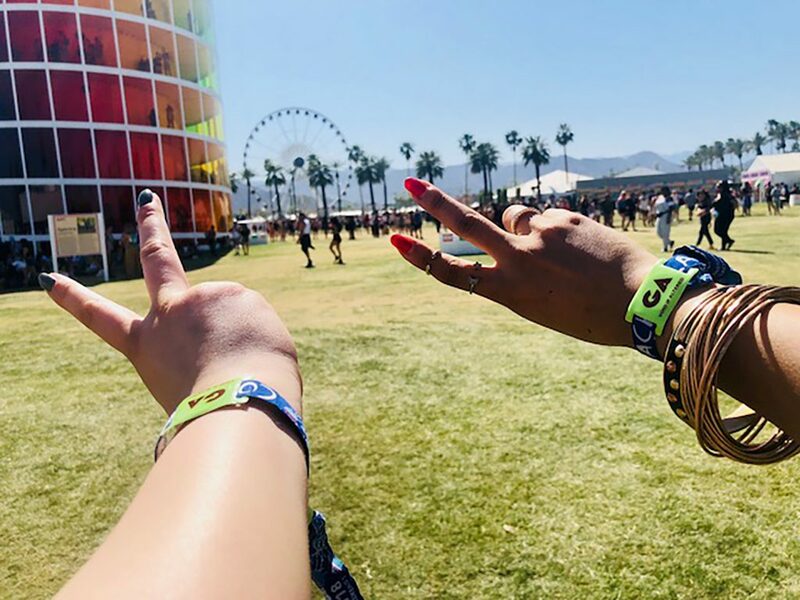 Ready for day 1 with our wristbands. The weather was perfect. The highest it got was 85 degrees. In the background you can see my two favorite art installations this year; Spectra and Supernova. 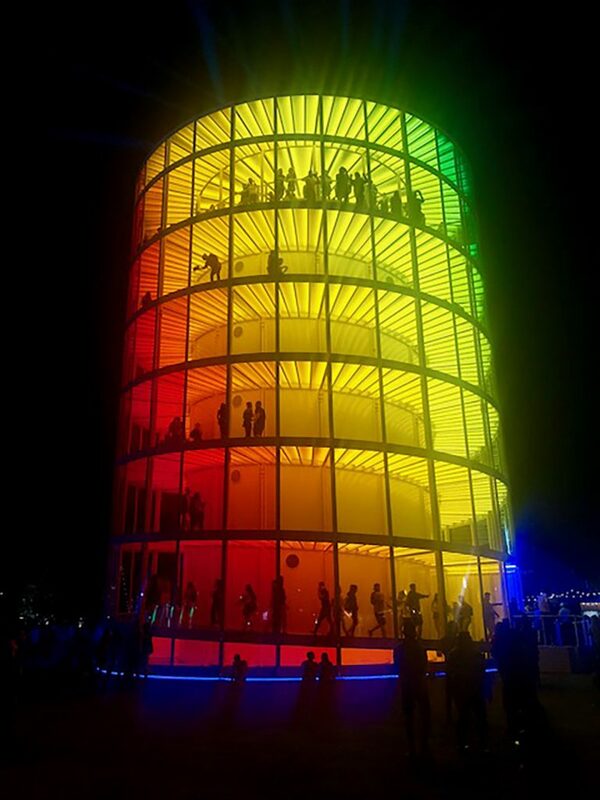 Spectra was designed by NEWSUBSTANCE and it’s a 7 story tower that allows you to view the entire grounds through different colors of light as you go up. 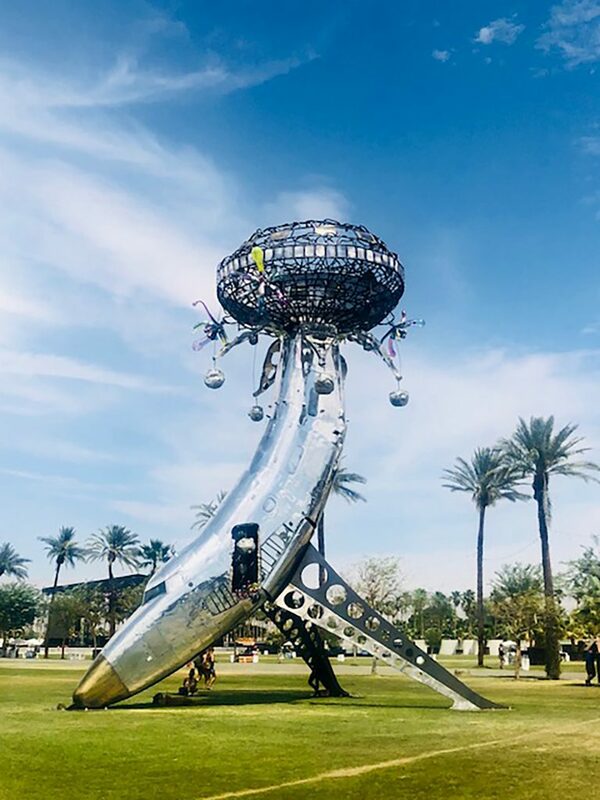 The art installation's purpose is to demonstrate the relationship between light, color, and perspective and how they change with every step taken. Supernova is a star composed of 12 different stars that each point 40 feet out. During the day, the star serves as a shade spot or meet up location, and by night it lights up in multiple colors. This was taken inside Spectra. 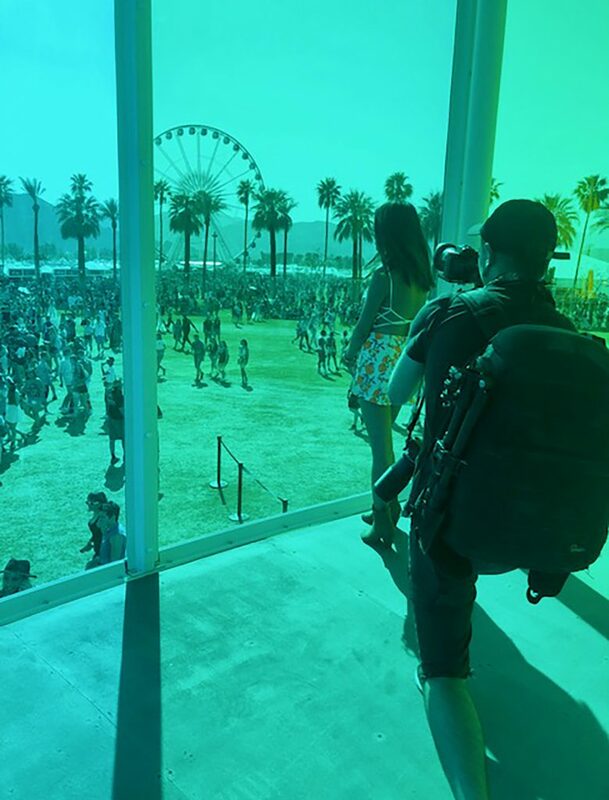 I was taking a photo when a photographer for Coachella approached me and asked if I could be part of a Coachella experience film they are working on! We woke up and headed to the bank. Wells Fargo would not allow me to access a temporary card because I had no ID. I was eventually able to access cash with an access code. We headed to the festival really early that day, around 1pm. The first band we wanted to see was not set to play until 3pm so we kept cool under the Etherea art exhibit. Etherea is a wire exhibit consisting of 3 different sculptures in different heights. The wire sculptures create various optical illusions for the viewer based on light and atmosphere conditions. On this day I met up with a lot of my friends. The sets I saw that day were Sir Sly, BØRNS, Declan McKenna, Brockhampton, blackbear, Post Malone, and of course Beyonce! I saw a lot of vertical stripe prints so keep an eye out because this is the next print trend! 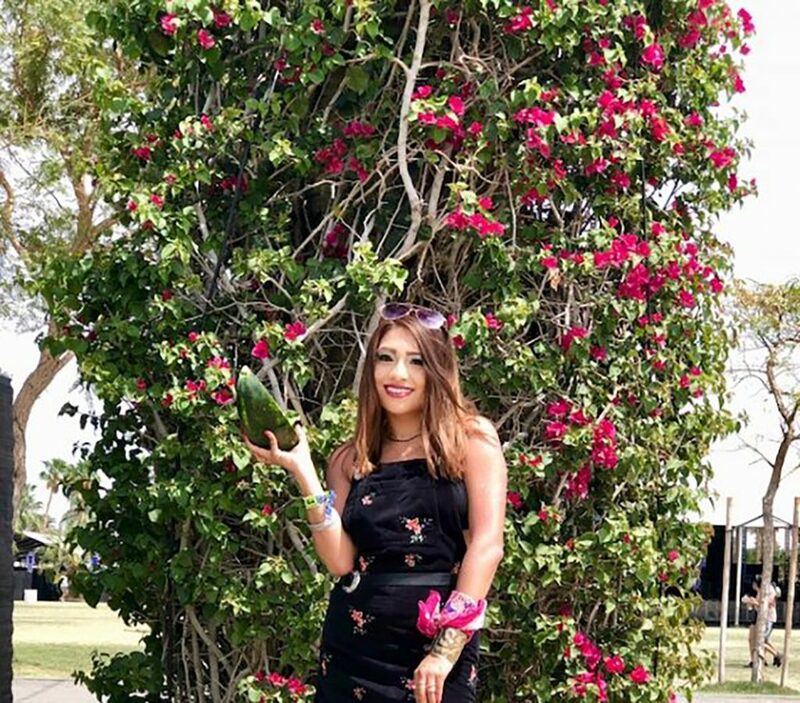 I always get a fresh coconut when I go to Coachella. They are so refreshing in the heat. This photo was taken when I was laying down in a shaded, grassy area after watching back to back sets. 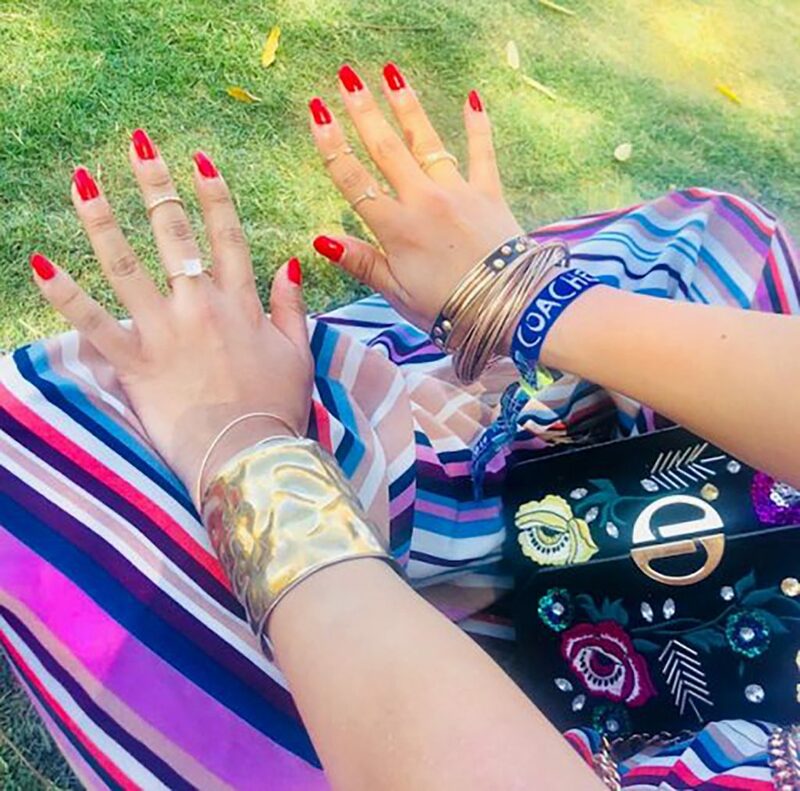 Rings: Forever 21 and Hardware | Cuff and bangles were thrifted to me by my roommate. 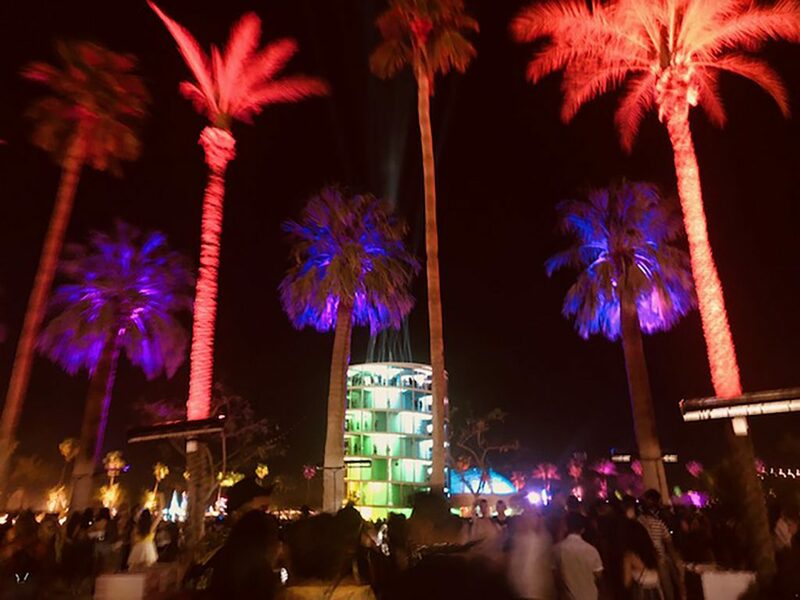 Coachella at night is my absolute favorite because it is so beautifully lit up. This was on our way to Beyonce's set. Our last day was so much fun, but sad at the same time because we knew that we would be leaving later on. We packed up our belongings and checked out of Airbnb. 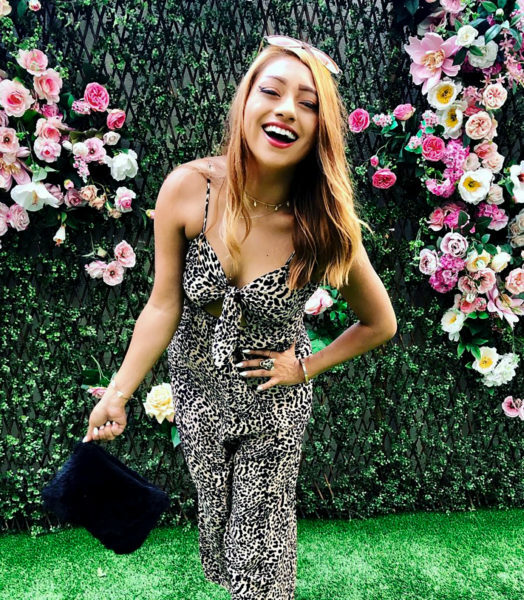 Then we headed for our last Coachella brunch at Chula Artisan Eatery. We used this day to take in everything we missed since it was the day with the least amount of sets to watch. The musical performances we saw were; LANY, Cardi B, 6lack, and Migos. I happened to receive a message on Facebook and it was someone who had found my wallet. I met up with the person and retrieved my wallet perfectly intact. Great to know there is still good people out there. We were unable to stay for Eminem since we had to be back home for prior commitments. The drive back was not bad at all, it only took 2 hours. This was my favorite photo because I was actually really excited for the watermelon. Getting a watermelon slice on the 3rd day is a weird tradition I have with myself. My photoshoot with this watermelon slice continues. Another tradition is to get an ice pop! These ice pops are my favorite. I got dark chocolate and my friend got strawberry. This piece is known as Lodestar. It is made from a Lockheed Martin Lodestar jet and is accentuated with repurposed materials to demonstrate metamorphosis. This installation is titled Palm- 3 World Station. 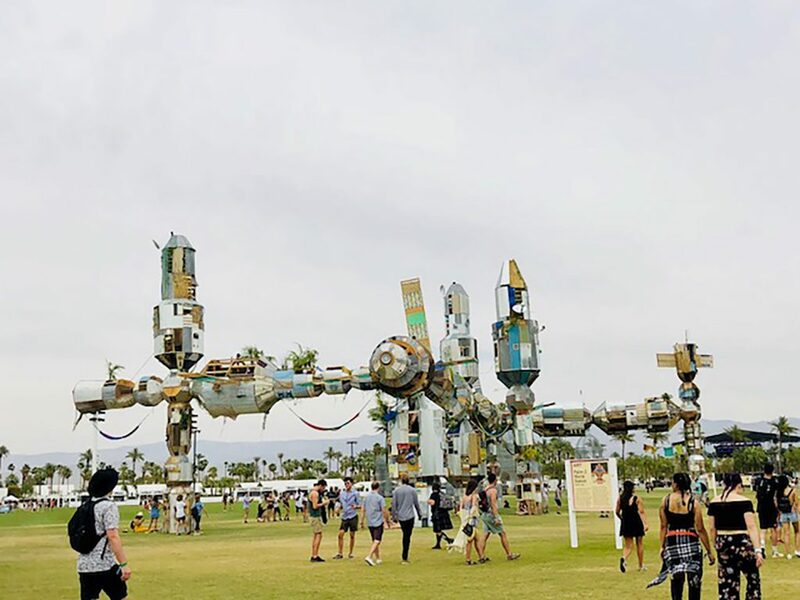 The art piece symbolizes a combination of past and futuristic worlds with the merging of Cold War spaceships, Mayan Pyramids, modern buildings, and surveillance systems. The Spectra lit up at night was my favorite piece because it was so magical. Coachella 2018 was an amazing experience. I highly recommend you go if you have the opportunity to. It is a great getaway and even better when you have friends to experience it with. 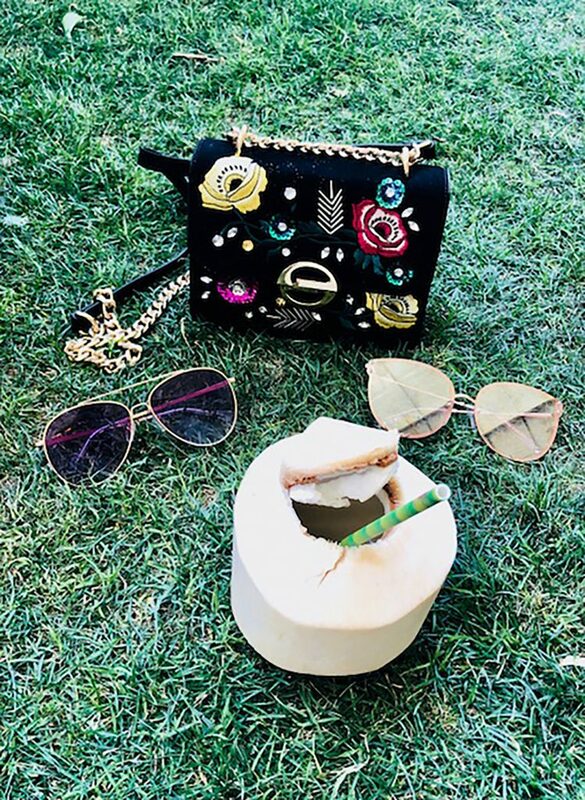 Check out some Coachella Festival Looks for inspiration, and if you’re interested in attending Coachella 2019 stay tuned for the presale in June!